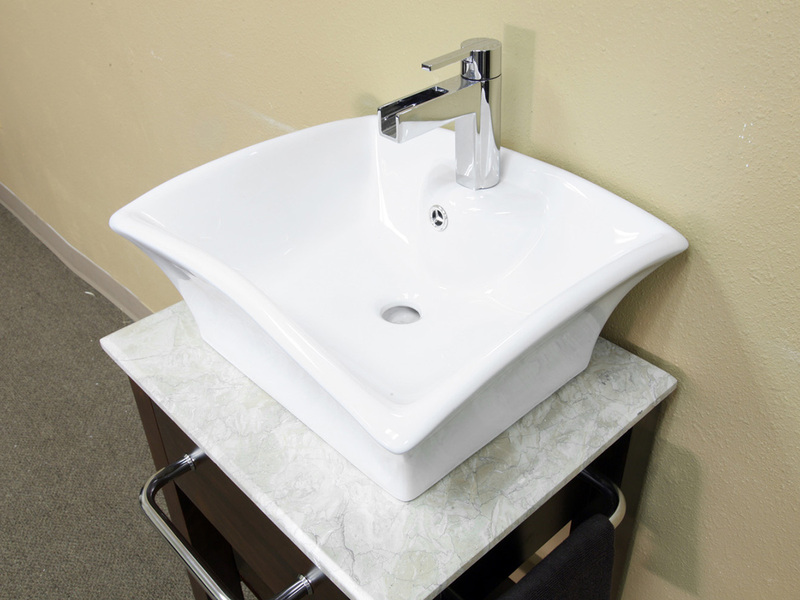 The Clearwater Vessel Sink Vanity is uniquely designed to offer a lot of style and functionality in a small space. 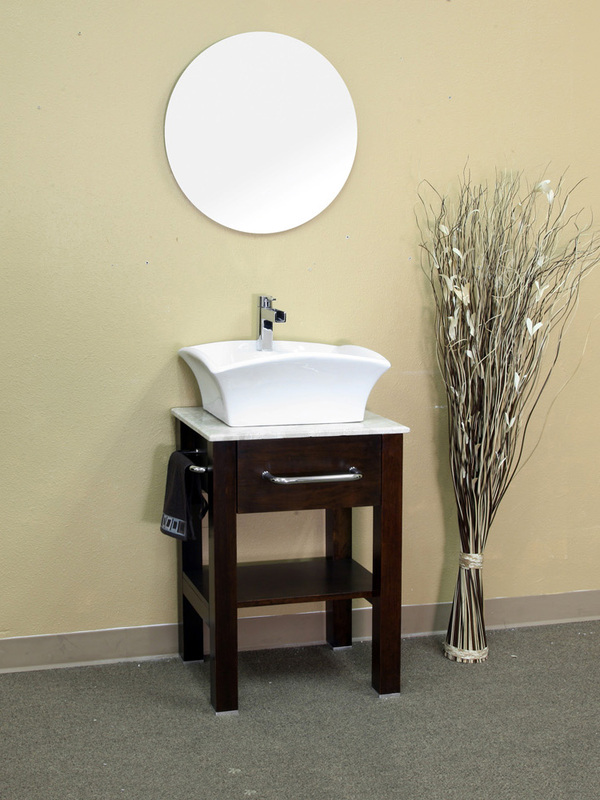 The clean white vessel sink contrasts beautifully with the warm walnut finish of the vanity, which along with its clean lines gives the vanity a great modern look. 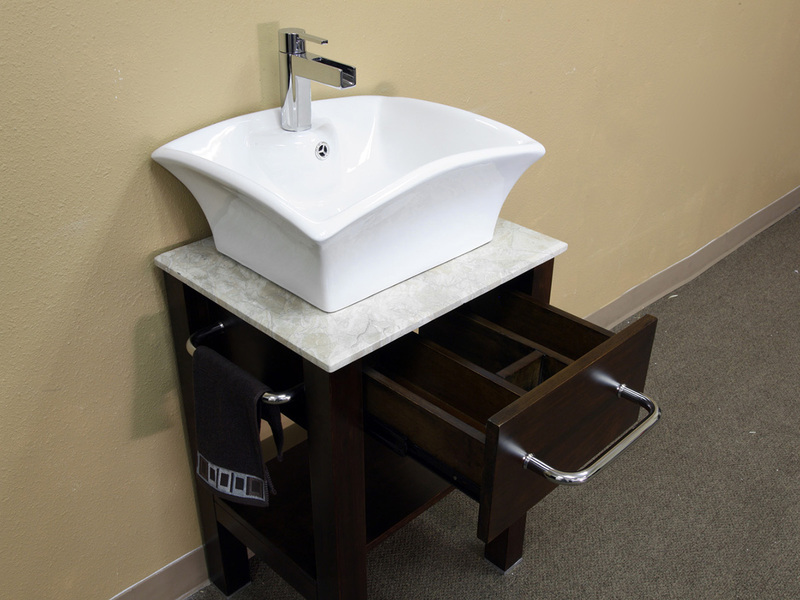 A drawer and shelf allow you to store and display bathroom accessories. 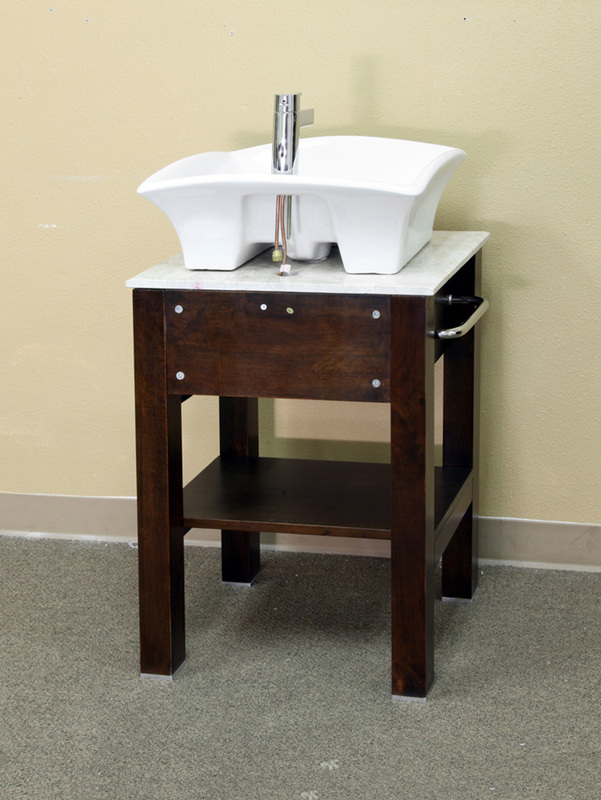 The towel bars on each side conveniently provide hand towels easily within reach of the sink. 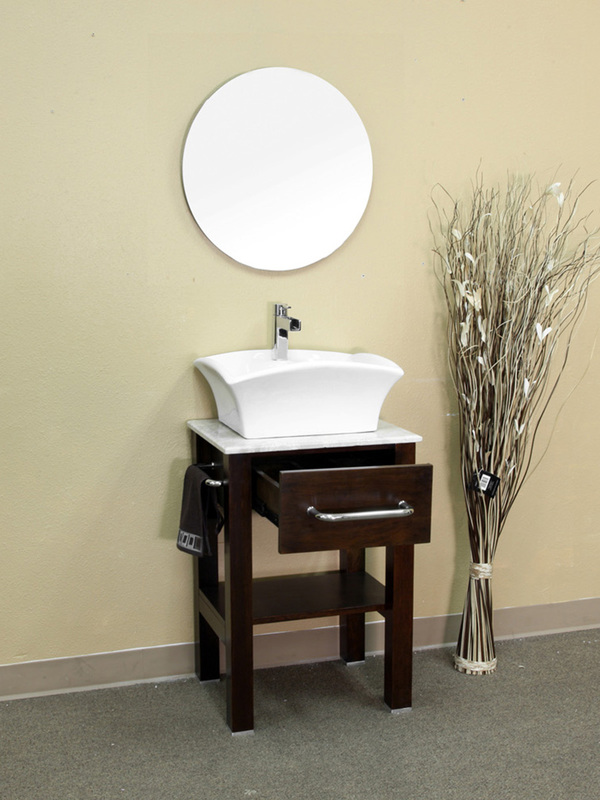 Not only is this a great looking and practical vanity, it is constructed from solid birch wood and has a water proof walnut finish to ensure its durability against bathroom humidity. 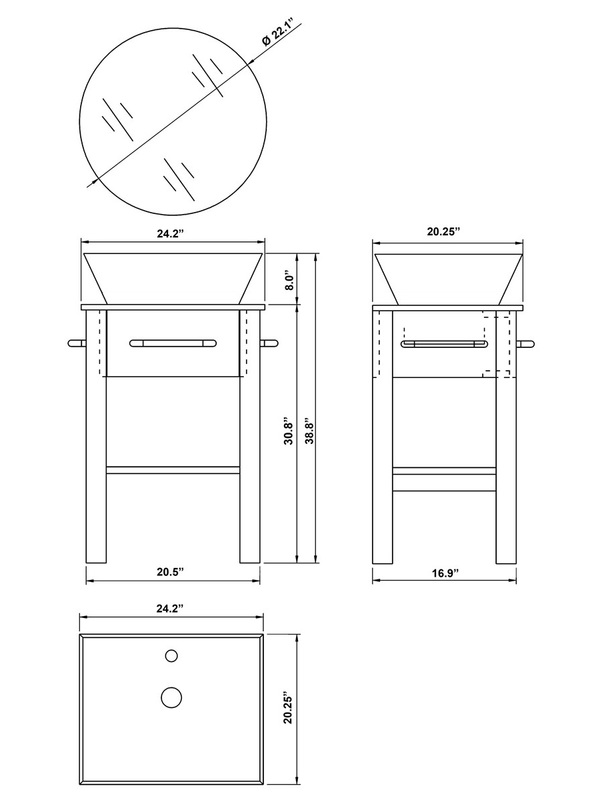 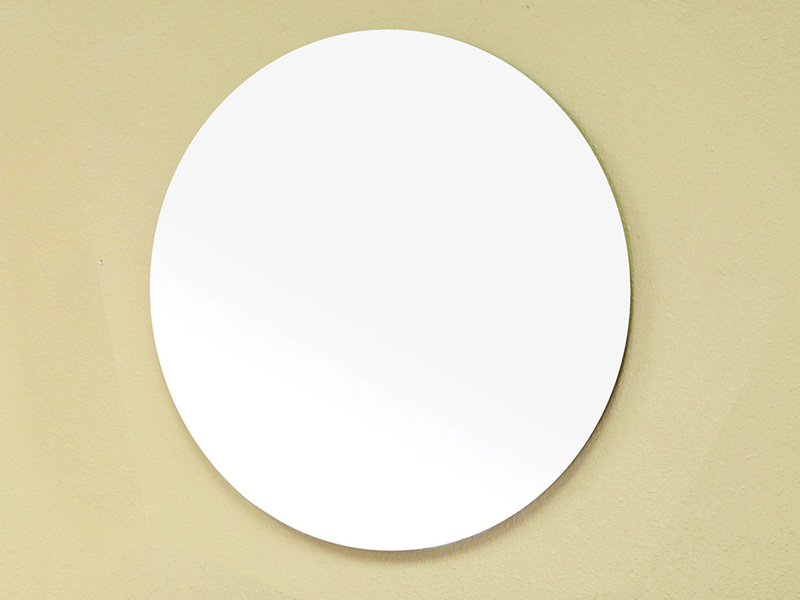 A mirror is also available for this vanity, if you can manage to take your eyes off of its beautiful modern design.